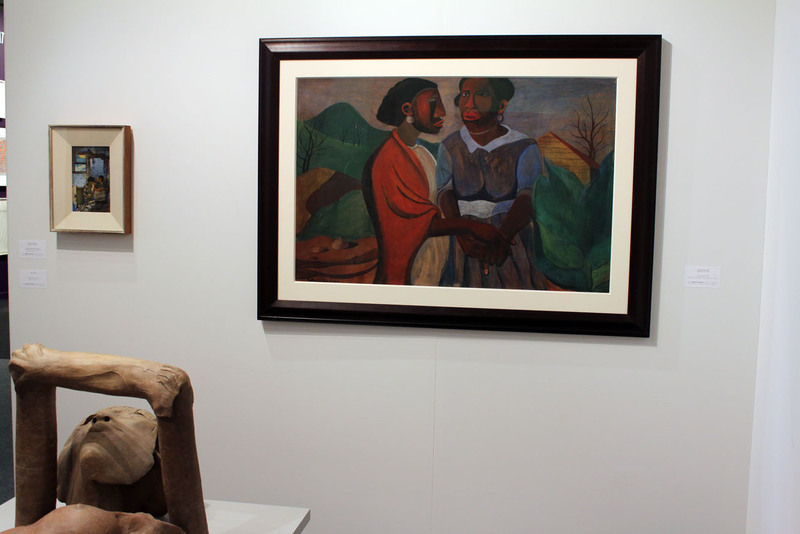 NEW YORK—Examples of work by black artists were few and far between at the Armory Modern Show at Pier 92. 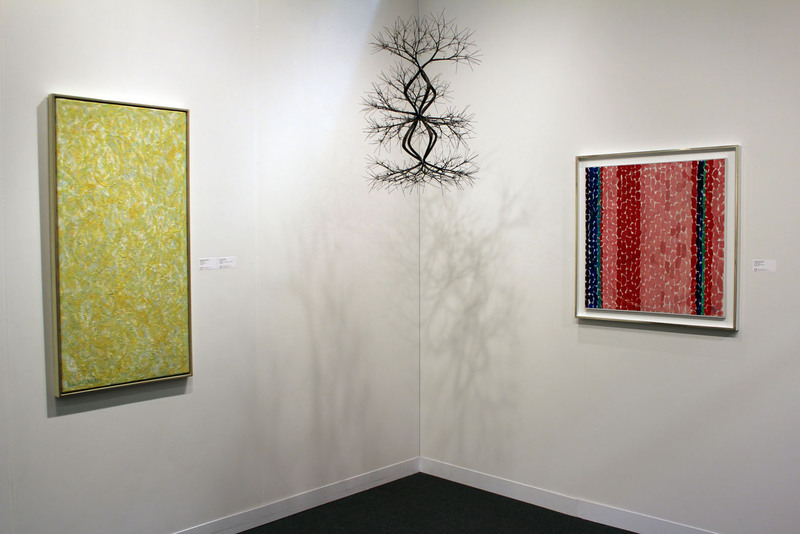 DC Moore Gallery and Michael Rosenfeld Gallery were among those with such works on view, including rare originals by American masters. 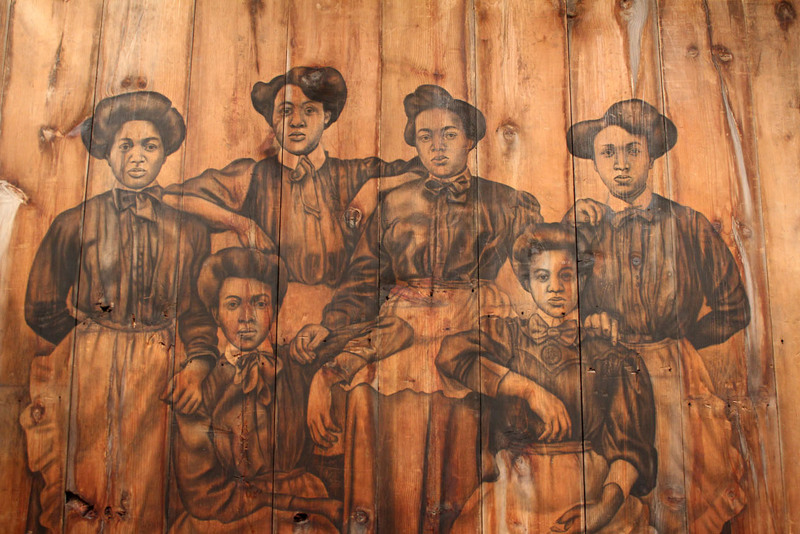 Artists Alma Thomas, Beauford Delaney, Jacob Lawrence and Romare Bearden, along with living artists Whitfield Lovell (above) and Wangechi Mutu, were among those represented. 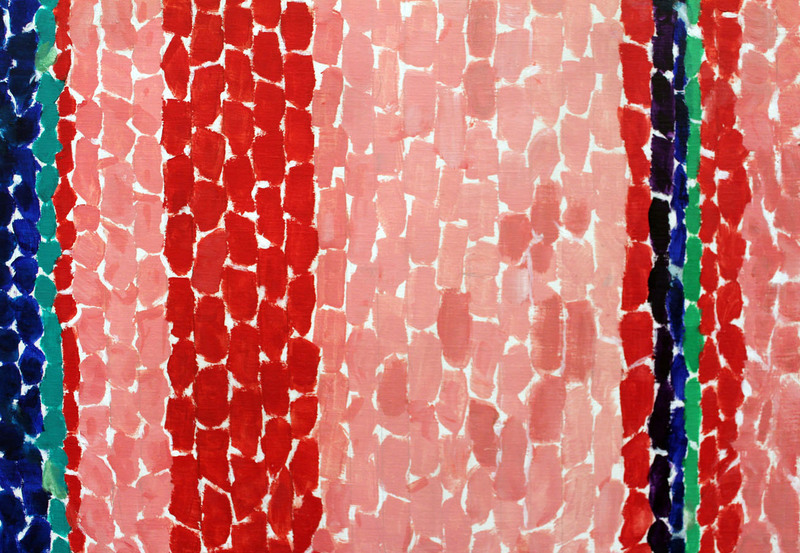 Detail of “A Glimpse of Mars,” 1969 (acrylic on canvas) by Alma Thomas at Michael Rosenfeld Gallery of New York. 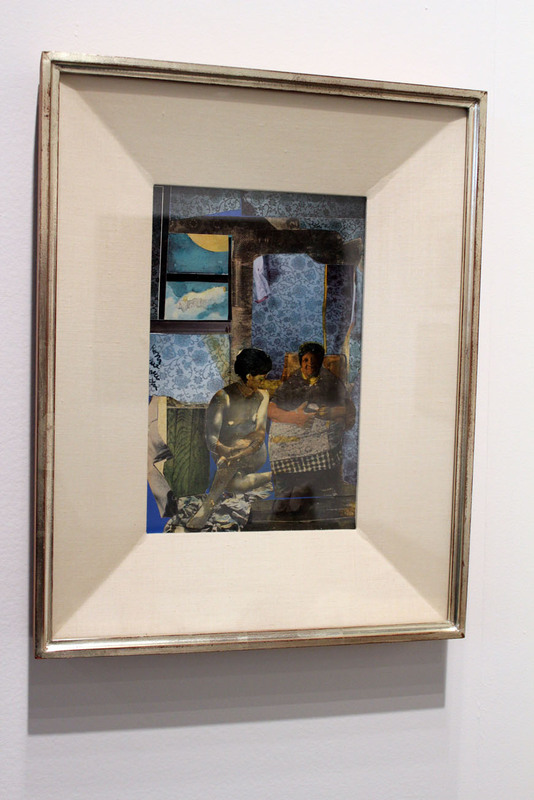 “Mecklenberg County, Morning (Profile/Part 1: The Twenties),” circa 1970 (collage fiberboard) by DC Moore Gallery of New York. 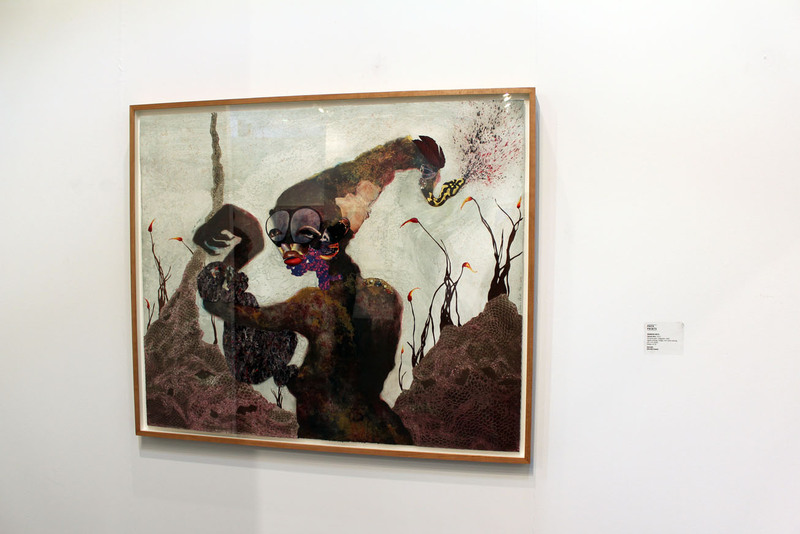 “Second Born,” 2013 (24-carat gold, callograph, relief, digital printing, collage and hand coloring; edition of 35)by Wangechi Mutu at Pace Prints of New York. 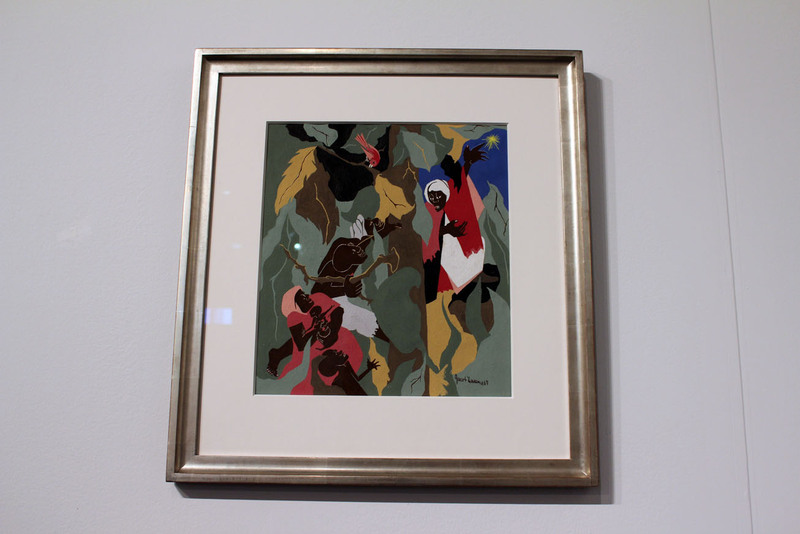 “The North Star (from Harriet and the Promised Land),” 1967 (Gouache and tempura on paper) by Jacob Lawrence at DC Moore Gallery of New York. 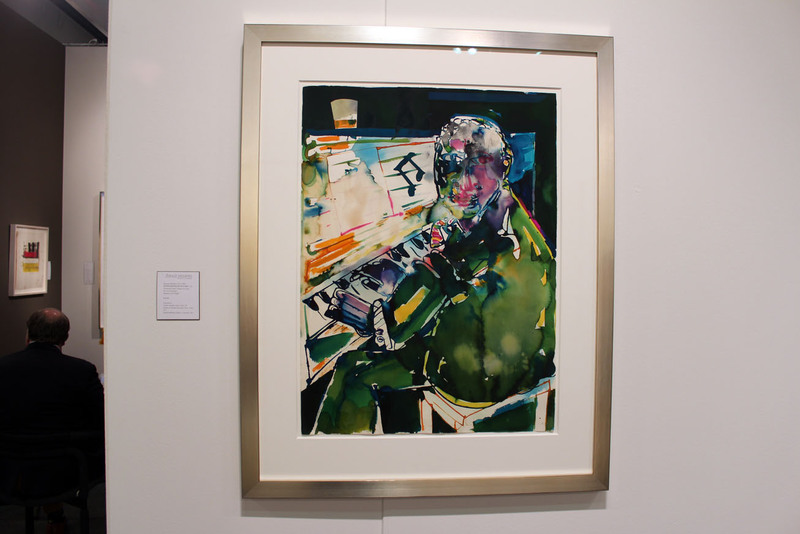 “Untitled (piano player),” n.d. (watercolor and collage on paper) by Romare Bearden at Jerald Melberg Gallery of Charlotte, N.C. 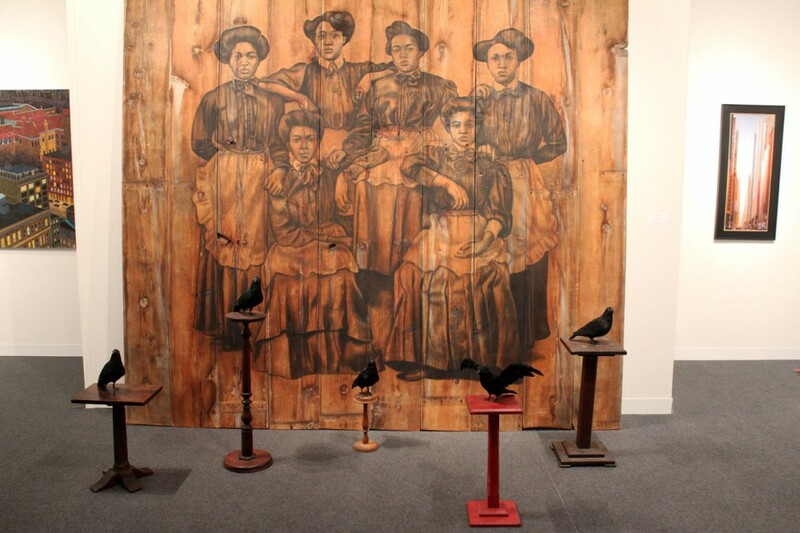 Detail of “Servilis,” 2006 (Conte on wood, pedestals, stuffed bird replicas) by Whitfield Lovell at DC Moore Gallery of New York. 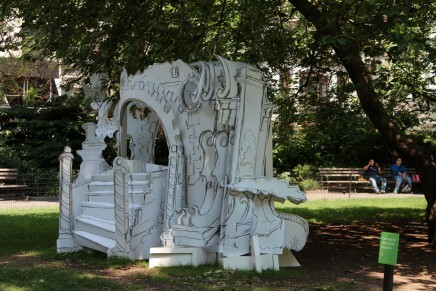 Installation view at top of page. 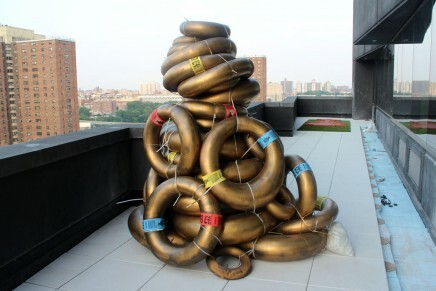 “Kin XLIII (C.P.T. 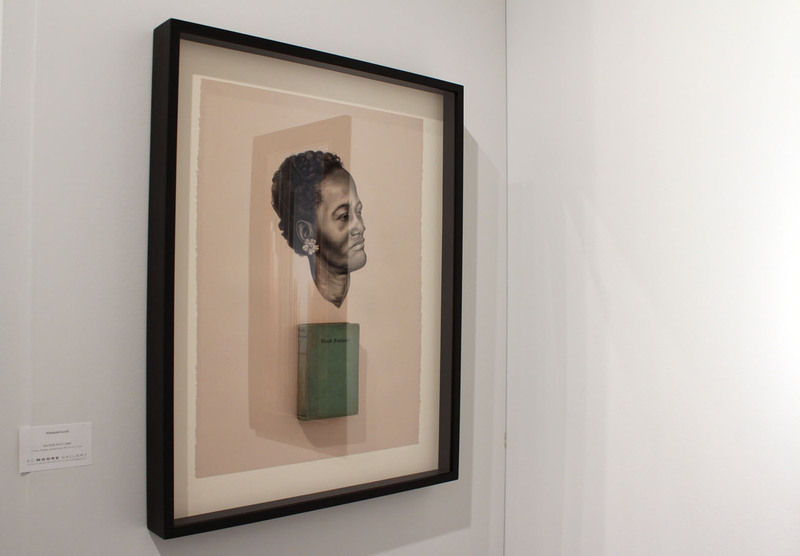 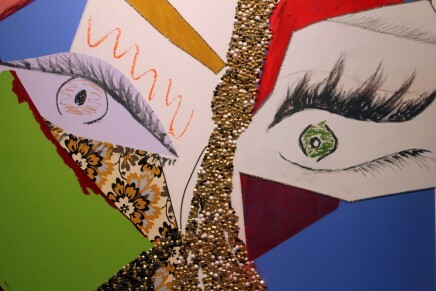 ),” 2010 (Conte on paper, bound book) by Whitfield Lovell at DC Moore Gallery of New York.